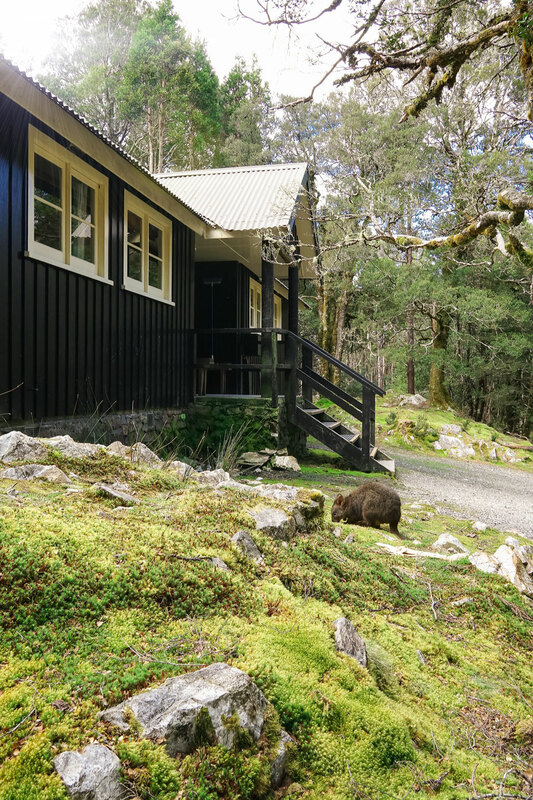 The Waldheim Cabins in Cradle Mountain-Lake St Clair National Park are really a unique way to visit one of the most popular and beautiful parks in Tasmania. There may be fancier, more romantic and more photogenic accommodation down at Pencil Pine, but you really can’t beat this location. 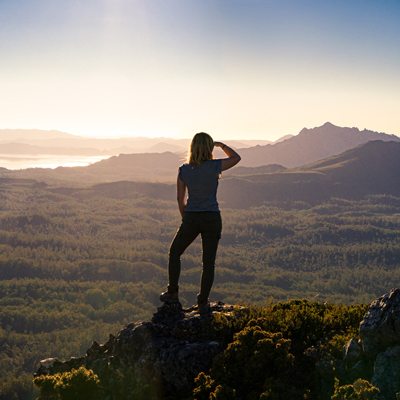 The main hiking trails are literally on your doorstep. Plus, since you can simply leave the key inside the cabin when you leave, it’s the perfect place to stay before starting the Overland Track. Cost: Between AU$95 and AU$185 per hut per night. You can book them here. They are pretty popular so I highly recommend booking ahead. Capacity: Depending on which one you want to go for, they sleep 4 to 8 people. 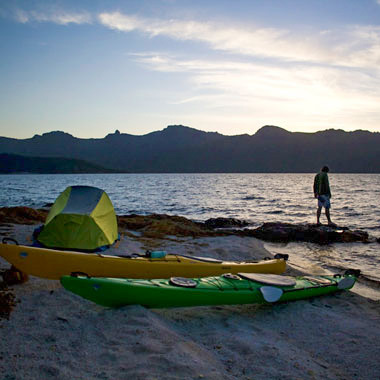 Permit needed: A Tasmanian Parks Pass is needed to stay at these cabins. You can purchase Parks Passes at the visitors center in Pencil Pine. There are short term and Cradle Mountain only passes available as well if you’re not local and don’t want to fork up the yearly fee. First of all, make sure you pack for all seasons. 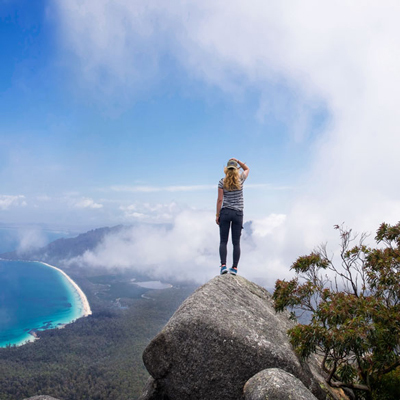 Tasmania is known for fickle weather and Cradle Mountain seems to be the poster boy for this reputation. During our stay we had hot blazing sun, rain and winds ranging from nothing to gail force. Even though it was hot at Dove Lake, there was snow at Kitchen Hut. 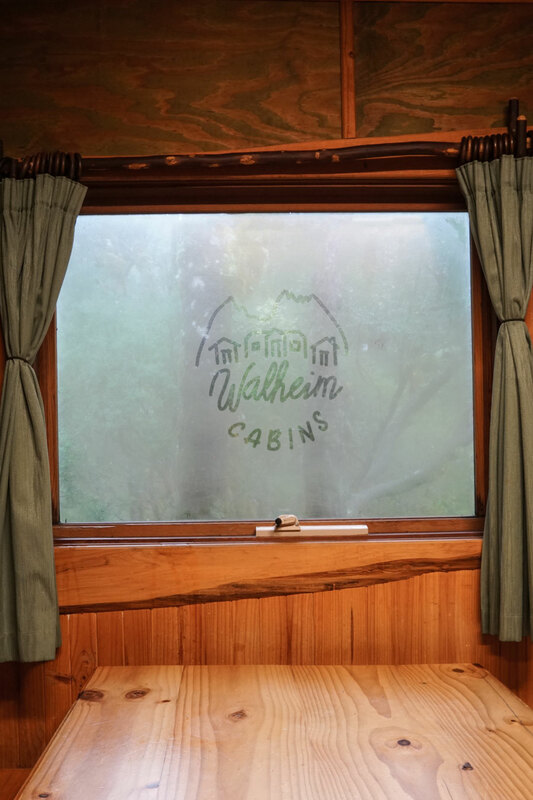 The Waldheim Cabins are located at an elevation of about 1000m. A height that frequently gets snow in Tasmania and even in summer it can be pretty cold up here. Especially at night. 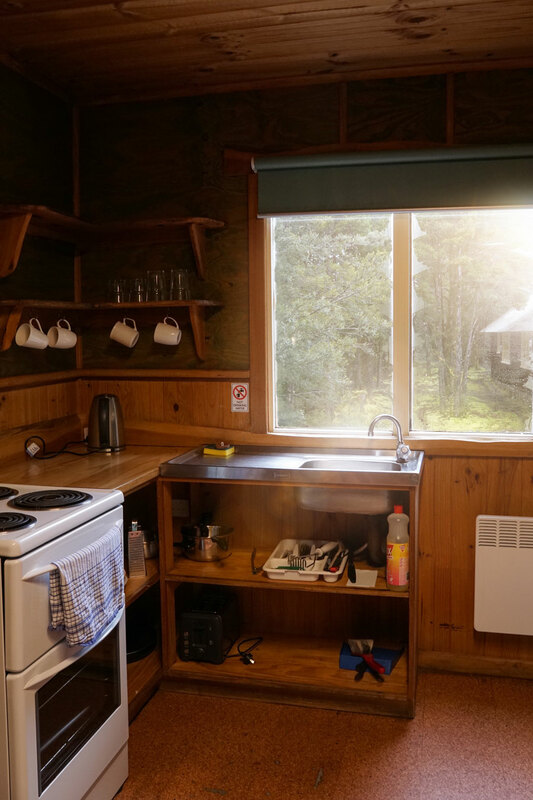 Inside the cabins, you’ll find a fully stocked minimal kitchen. There’s pots, pans and all the kitchen tools you need for making basic meals. We highly recommend bringing some cake mix since there’s on oven/grill. There’s also a small fridge, so leave you can leave the processed stuff and home. If you want stay for quite a while or like us always forget half your essentials, you can stock up on stuff at the tiny convenience store at Discovery Caravan Park across the road from the visitors center. They have a tiny selection of pretty much anything. Even things like steak, frozen pizza and wine. The Waldheim Cabins sleep 4 to 8 people and all beds are single bunks. No romantic cuddling here, but than you do get all major hiking tracks right on your doorstep. 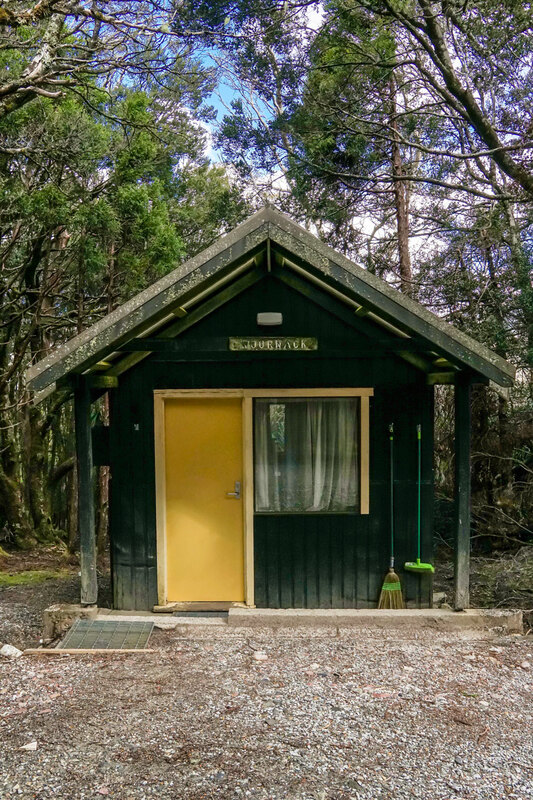 If you came to Cradle Mountain for adventure and exploring all the beautiful trails, these little cabins are gold. There’s a shared amenities block with a hot shower (hallelujah!) and each cabin has an electric heater. So you can enjoy them in winter, even if you don’t own a full set of winter camping essentials. Waldheim Cabins are often visited by a variety of wildlife. At any given time we could see pademelons grazing away outside our window and you’re very likely to spot a wombat munching grass down in the moor. If you’ve always wanted to meet a wild wombat, this is the park to come to. Anytime we visit Cradle Mountain, we always see heaps of them, so I even dare to guarantee you’ll see at least one. Look for them in the moor outside Waldheim or in the bush along the road between the visitors center and Dove Lake. The wombats in Pencil Pine are especially friendly and used to humans, so they often let you come quite close for a good picture. From Hobart, take the Midland Highway towards Launceston. Just before Perth, turn onto Illawarra Road towards Deloraine. From here you should be able to jut follow the signs and choose to go past Sheffield or Mole Creek. The Mole Creek drive takes you along some nice and smaller roads, but after heavy rain it can be subject to flooding. Make sure to check for road closures before you go. Once you make it to Moina, follow the road south. Again it’s pretty well signed and self explanatory. If you’re feeling a bit exhausted from the long drive or forgot to bring you favorite cabin hootch, make sure to stop by the Cradle Forest Inn. Inside is decorated with an ultra cozy rustic cabin style, the coffee is good and the selection of spirits is a lot better than the before mentioned Discovery Parks Store. Pick up your key after 1pm at the visitors center and follow the road to the Ronny Creek car park. The cabins are located on your right. 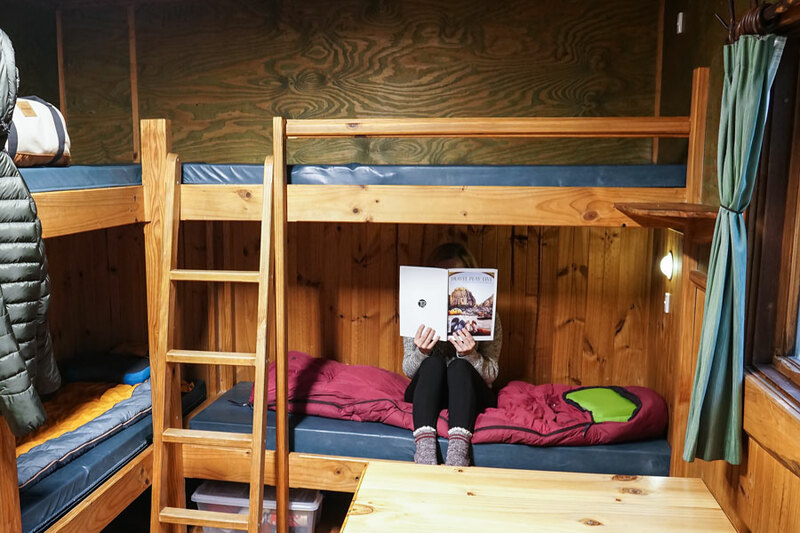 All your own bedding, plenty fresh food, all-weather hiking gear and that’s pretty much it. It may be worth mentioning that there is electricity inside Waldheim Cabins. There are a couple of sockets to charge a phone or camera in case you’re staying a bit longer. There’s no cell phone reception on site, but can be picked up intermittently along Cradle Mountain Road.